Also this year, I decided to make Christmas gifts for my friends by hand. I firmly believe that home-made gifts are the best as they show how much you care for the people you give them to and they always taste much better than store bought stuff! This year, I decided to make 3 different goodies. 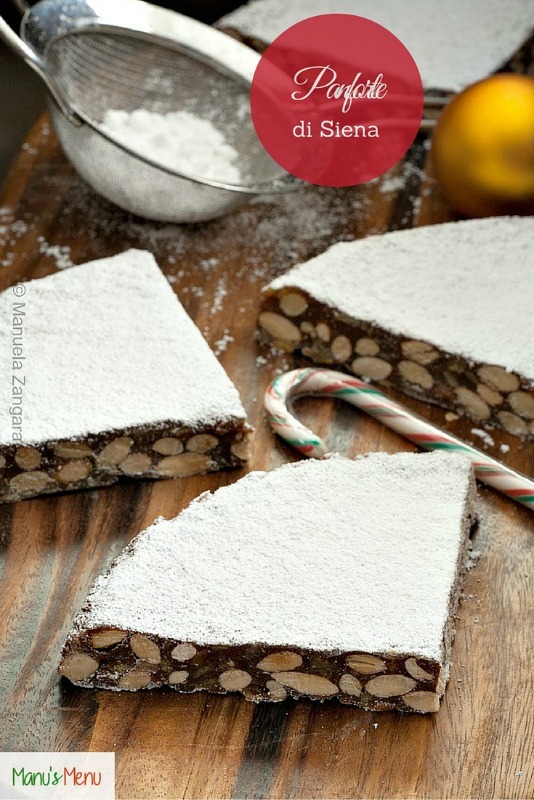 I started by making Panforte di Siena, a typical Christmas Italian sweet. 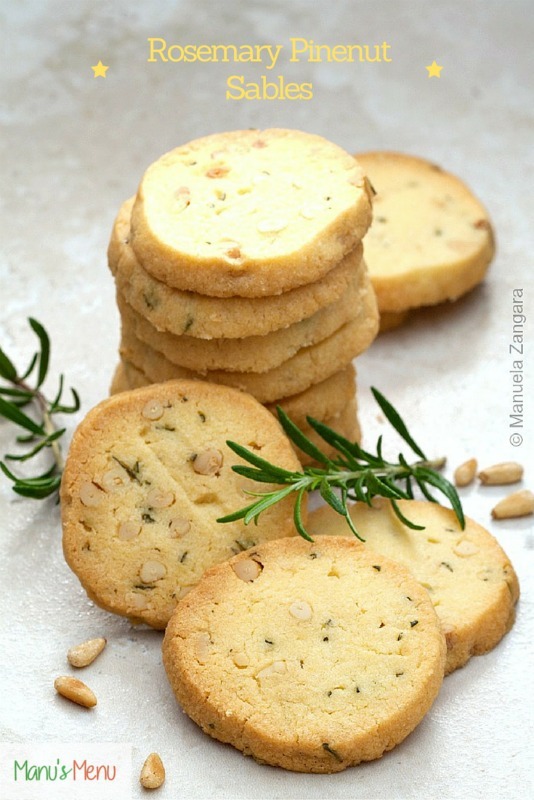 Then, I made some of my Rosemary Pine Nut Sablés which were a total hit. 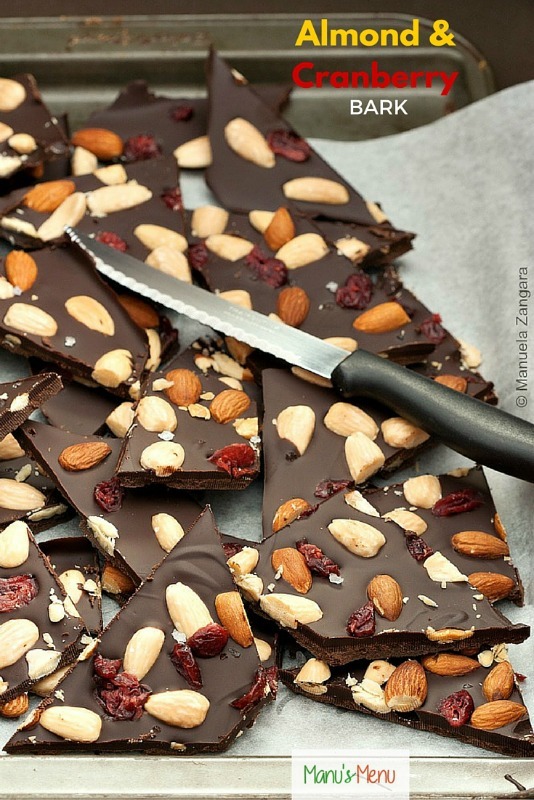 I also added some of my Almond and Cranberry Bark. I also included a little bottle of Truffle Oil. 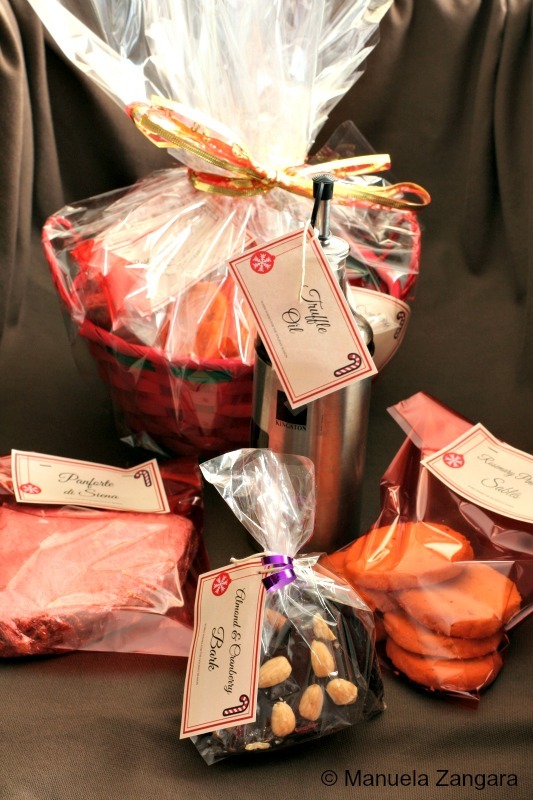 I then wrapped all the items individually and added some tags with the name of each item. And then made a big parcel with all of them! For more gift ideas, check out this page.